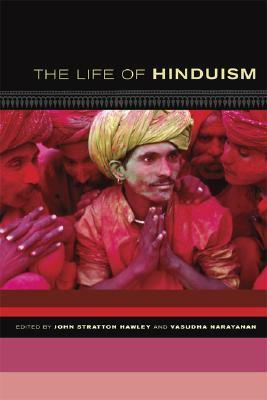 The Life of Hinduism is a montage of classic essays on Hinduism. The book almost touches every aspect of the revered religion or way of life, whichever term you like to use. The book is divided into eight parts. In the first part Worship idol worship, fasts and discovery of Vrindavan are dealt with. In the following part The Life Cycle, the menace of child marriage is discussed. It tells us how divorce and remarriage is easier in so called lower strata’s of the society, while the higher caste widows are expected to lead a lonely life without a partner. It is in this part that the most exciting essay in the collection features. Titled Death and beyond Death: The Ochre Robe, many esoteric secrets are shared in this marvellous write up. This essay builds a suspense, intrigues you and towards the end even offers some solace.In the part Festival, Diwali and Holi are discussed. Being an Indian I didn’t find anything interesting about these essays for I have been celebrating these festivals throughout my life.Another part of the collection which sparkles is Performance. Ramlila, TV serial Ramayan and possession by deities feature in this part. It is interesting to know about Ramnagar’s famous Ramlila and its distinctiveness. The author of this essay views it not only from her own eyes but also through that of ordinary peasants who have assembled for the Ramlila. In every part of India we have seen many women and a few men who claim to have been possessed by God and Goddesses. Here the author quotes the reason why deities like Vishnu and Shiva never posess anyone. She narrates how cults are formed by these godmen and women and their clashes, at times fights with each other.In the section called Gurus we meet Anandmayi Ma and Radhasoami. With Anandmayi Ma, the Goddess first time came in the form of a woman and women felt secure in her company for even then there was no dearth of Godmen who exploited the poor, illiterate women. Though Ma kept on telling that God was present everywhere including the devotees, she was exalted to the status of God.In the caste section, Ravidas, his poetry and politics surrounding it find mention. A Brahmin Woman : Revenge Herself by Lalitambika Antarjanam is a bold short story. Here she discusses sensitive issues like sexuality. Indeed the author was much ahead of her times.Diaspora section is about building of a temple in United States with the help from Tirupati Devasthanam. In the section identity, the Ayodhya dispute finds mention. Ironically this chapter also tells us about many places where Hindus and Muslims pray alongside, and even together. These essays are well researched scholarly works, and it is a pleasant surprise that they are interesting and not insipid pieces of research. This book, backed with solid study and fine equilibrium is not to be missed for sure.